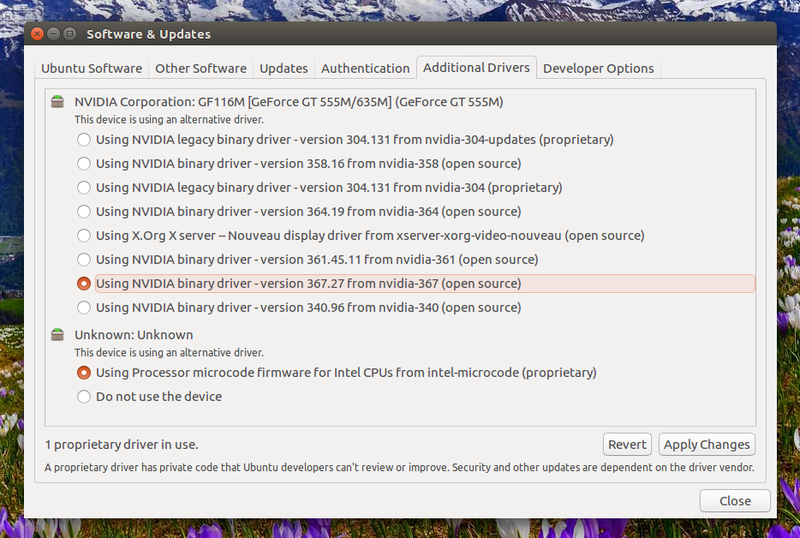 Upgrading to the latest version of the proprietary Nvidia drivers in Ubuntu (or Linux Mint) was pretty complicated a while back. You would either have to use the official Linux installer, which was not always reliable, at least for me, or use a bleeding edge PPA, like the Xorg Edgers PPA, which would upgrade multiple packages, most of which were unstable. That's no longer the case thanks to the Proprietary GPU Drivers PPA, which offers stable proprietary Nvidia graphics driver updates, without updating other libraries to unstable versions (some libraries may still be updated using this PPA, if they are needed by the drivers, but there's nothing unstable in the PPA). Despite its name, the PPA only provides proprietary Nvidia graphics drivers updates, with no support for AMD or Intel. Even though the PPA is probably the most stable way of upgrading to the latest proprietary Nvidia drivers version in Ubuntu or Linux Mint, it's still considered in testing. That means issues may still occur (though I didn't encounter any and I've been using it for some time), so you should only use this PPA if you have experience with recovering your system from a failed graphics driver upgrade. Even so, unfortunately this is still the safest (or maybe that's not the right word, let's say the least breakage prone) way of installing NEWER Nvidia drivers in Ubuntu or Linux Mint. I should also mention that the PPA provides packages for all supported Ubuntu (17.04, 16.10, 16.04, 14.04 and 12.04) and Linux Mint (18, 17 and 13) versions. The PPA provides the following Nvidia Graphics Drivers versions: nvidia-361, nvidia-367, nvidia-370, nvidia-375 and nvidia-378. There are also older drivers, like nvidia-304 and nvidia-340 (but that's not why you are here, right?). 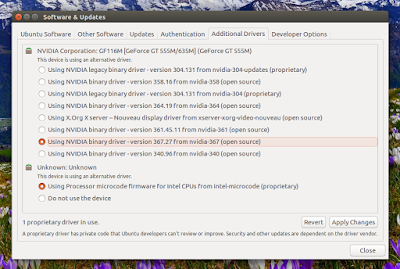 You can check the latest Nvidia Linux graphics drivers version by visiting THIS page. Before proceeding, please read the PPA description! After the driver is downloaded and installed, restart your system. That's it! And look for the packages called "nvidia-VERSION", for instance "nvidia-378" for the latest 378.09 beta graphics drivers, and install it ("sudo apt install nvidia-VERSION").